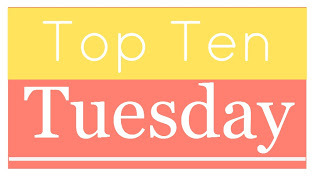 Today's Top Ten List from The Broke and the Bookish is the Top Ten Books that Make you Cry. I've been searching my mind trying to come up with books that make me cry for days. This one was challenging for me since I tend to avoid books that will make me cry like the plague. Cried doesn't seem quite strong enough. I sobbed, wept through pretty much this entire book. I don't know if it's having teenagers or having a four year old but even though I've read this book about Anne's children going to war it's never affected me quite like it did a few months ago. This wasn't just teared up - this was openly weeping to the point if I read more than a chapter or so a night my eyes would be swollen the next day. 2. Marley and Me by Josh Grogan - This is another one I sobbed during. I cried so hard at the ending that J wouldn't believe I was that upset over a book. 3. The Hiding Place by Corrie Ten Boom - I resisted reading this book for awhile despite having a friend strongly recommending it. I was afraid it would be preachy but it was wonderful. 4. Anne of Green Gables by L.M. Montgomery - This one isn't sobbing but there are scenes that cannot be read without crying. 5. 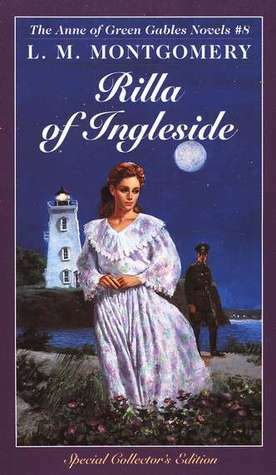 The Shell Seekers by Rosamunce Pilcher - This one doesn't affect me quite like it used too but I read this book to pieces in high school and college. 6. Love Story by Erich Segal - I cannot even think about this book without remembering the story a friend told me about how she was reading in class and as she was getting to the ending she all of a sudden remembered the first line and spent the rest of the time torn between not being able to put the book down and not wanting to get caught reading (and crying in class). 7. Handle with Care by Jodi Picoult - I read this for a book club a few years ago and I have mixed feelings about it. I cried but I felt so manipulated that I was mad about it. 8. The Hunger Games by Suzanne Collins - The scene with Rue's death. Oh the tears. 9. The Secret Diaries of Miss Miranda Cheever by Julia Quinn - I know I'm in the minority here but I loved this one. And cried quite a few times. 10. She: The Old Woman Who Took Over My Life by Kathryn Tucker Windham - this is Windham's final book as she looks back over her life. She died before it was finished. I know better than to read Marley & Me--I would be a sobbing mess by the end. Never read Old Yeller either. :-) I didn't put anything by Jodi Picoult on my list, but I definitely could have . . . I read Marley & Me right after it came out and I didn't know anything about it. I was expecting the general disasters that comes with lab puppies. It was but then... I know better than to read Old Yeller! I'm not sure I would ever recover! I had issues with the Picoult book. It made me cry but it felt like it was trying to make me cry. Love Story! That first line! Still one of the handful of opening lines I know by heart. Me too! Haven't read it in ages but may have to go dig it up. The Shell Seekers didn't age very well for me but I still can't read the end of Richard's chapter without openly crying. Glad others had Anne on their lists! The scene where Matthew tells Anne he's glad she wasn't a boy... I can't even talk about it without tearing up! Another Anne! I agree about many of Montgomery's books being tear jerkers. I think I could have made a top ten list just of her! Those were the two I openly wept through though. No amount of concealer in the world could have fixed the damage the day after I read the last 100 pages! I know Love Story is pure manipulation but I still cried and I'm pretty sure I'd cry again if I ever reread it! Oh I'm sure I would. I gave it to my daughter to read a few months ago and she came down a few hours later in tears saying "Why??" It's been a long long time since I've read Love Story but YES! I wasn't a big fan of Anne the book (I know, I know) but everytime I watch the mini-series I have ALL the feels. Love it so much. I understand not being a fan of the Anne books especially the early ones. Rilla may be worth the read even if you didn't like Anne. She's much less poetic. Oh the mini series! I cry and cry. Love the first and second. Not the third. Yesh. I can't believe I forgot Marley and Me. And when I read Anne the first couple times I think there were some tears. I sort of knew what to expect with this recent reread and got through okay. The scenes that got me in the most recent reread were scenes I didn't expect. Rilla though - I think I cried more than I ever had before.